Louisiana’s Department of Agriculture, as well as the Department of Forestry’s Agro-Consumer Services recently sent qualified seniors farmers market coupons this week. Over $370,000 worth of coupons were delivered via mail to seniors as part of the state’s nutrition program. The program aims to help older residents buy fresh vegetables and fruits that have been locally grown; those that are displayed at roadside stands and farmers markets. According to Commissioner Mike Strain, the program provides the state’s senior citizens with the opportunity to purchase healthy, good, fresh food. Strain added that the program also helps support Louisiana’s local growers and farmers. The coupons are accepted at both West Monroe and Monroe Farmers markets. Charles Holley, a Monroe farmer, said that they accepted stacks of coupons last year. Ninety roadside stands and 41 farmer markets all over the state honor these coupons. Every purchase should be a minimum of the amount of the coupon as the vendors cannot give change for the coupons presented. To qualify for the program, a senior citizen should be at least 60 years old and earning less than 185% of the poverty line. For a household which is composed of only one person, the yearly income should be equal to or less than $20,147. Every senior citizen who qualifies for the nutrition program receives coupons that total $24. Currently, over 14,000 senior citizens of Louisiana have qualified for the program. Those seniors who have received the coupons will also be provided with a list of participating vendors and farmers markets. 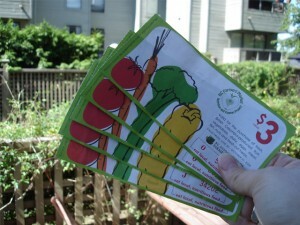 It is important to take note that these farmers market coupons are not accepted at supermarkets or grocery stores. They are also not accepted by farmers who are not participating in the nutrition program.